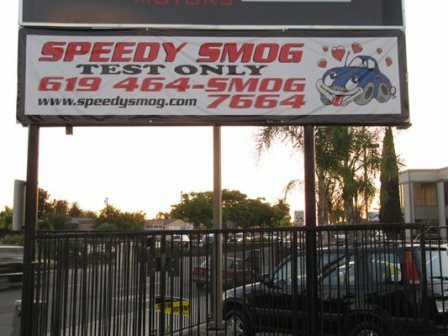 Speedy Smog is a test-only smog testing station servicing La Mesa, El Cajon, and San Diego county. We offer the lowest local discounted prices for smog check services, as well as a free retest for vehicles that fail their first test. We smog vehicles of any fuel type, including diesel & gross polluters! We can also transfer any vehicle title and register any vehicle. We are STAR certified and licensed with the state of California.